Lately I must admit that I’ve felt a little discouraged, ok maybe a lot discouraged. I’m 31 years old and have never been in love. At this point I am beginning to wonder if it will happen. I never date and when I do go out it doesn’t feel close to a match. Recently I’ve had my faith shaken that I can even read a person. My trust that human beings are who they say they are has been shattered. Now I have many people in my life who love me but aside from my parents I’ve never really experienced GREAT LOVE. I’m not talking about the love of fairy tales but the kind where a person wants my happiness more than their own. The kind of love where we start a life together and boldly face challenges. I know it is not perfect but at least it should begin with excitement and sparkle. It’s someone who is loyal and honest, who isn’t afraid to go through the muddy patches of life by my side. Someone who will be my friend and will KNOW me, and I will KNOW them. I don’t even know if I would recognize it at this point if I saw it. The whole love thing honestly feels like Santa Claus in my life. Something adults tell you is so wonderful but never seems to quite happen. I don’t mean to be over-dramatic or sad but I really wonder- can you live a full, rich, textured life and never fall in love? Even if love ended poorly it seems I would have at least had a full life experience. People say you should never marry your first love but at this point I will have little choice in the matter :). I know I have lots of flaws but I think if someone gave me a chance I would be a darn good partner. I would be loyal, honest, hard working and a great friend. If there is anything I value in life it is being a great friend. It does make me ask the question- What’s wrong with me and why does everyone else seem to be able to figure this whole love thing out? And not only do most seem to figure out the love quandary many people do so repeatedly. I have a friend who has been married 4 times. How can you fall in love 4 times! I can’t figure it out once. I used to think it was just my weight that was keeping me from great love but now I’m an athlete and no difference. I know that God has His own time table for me but I had never dealt with the possibility that He might not have it in the cards for me to experience great love. While I can never lose faith, I do have to acknowledge that it may not be part of my plan. He knows why but it may not be for me in this life. Anyway, back to the original question- can you lead a full and rich life and never fall in love? I’m not just asking this to engender pity or sympathy I really want to know can a life be considered fully lived without such an essential life experience? If you listened to music from any era or read literature or poetry the answer would clearly be no. But what do you think? 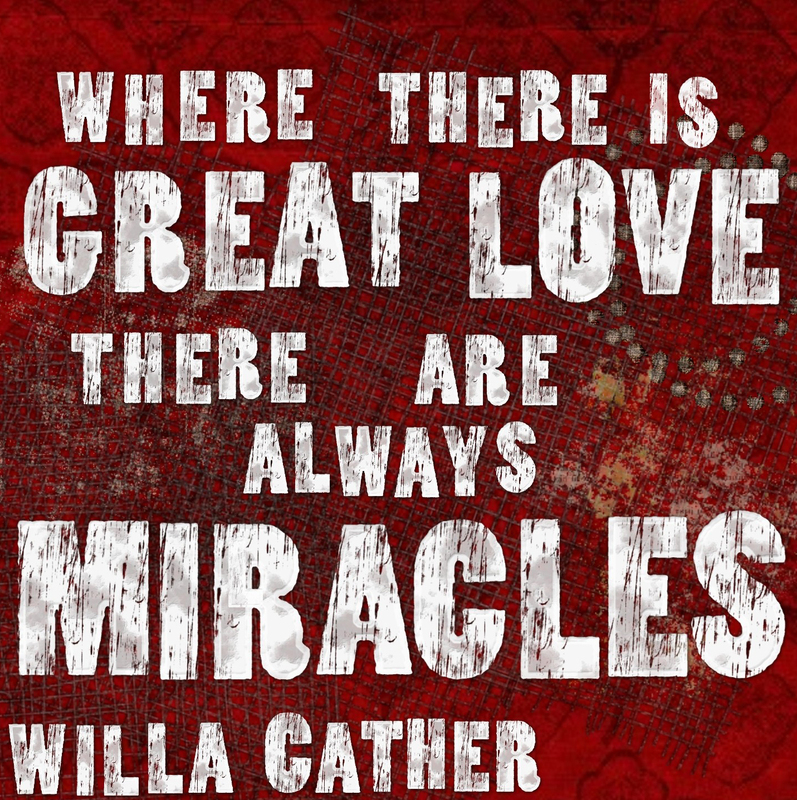 great love…I need a miracle!